Over the next few months, I’ve got several trips coming up— both weekend jaunts and international travel. But regardless of the length of whatever trip I’m on, I always pack my beauty products with me in my carry on. I feel much more secure knowing that my essentials are never out of sight. I’ve heard too many horror stories of makeup getting destroyed or, worst case scenario, going missing in checked bags. Plus, I often find myself doing my makeup in airport bathrooms or at the gate when I take early flights. I’ve finally gotten into my groove when it comes to packing beauty products for travel in my carry on. My travel beauty routine is very streamlined, and I try my best not to overpack. It’s all about versatile products and sticking to the must-haves in order to maximize space. 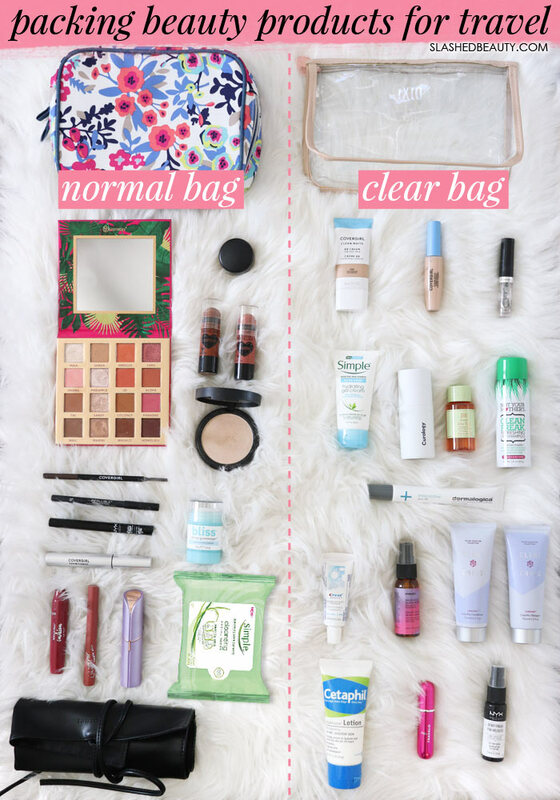 Especially with the 3-1-1 TSA rule, you’re probably at least going to have two bags carrying your beauty products: a normal bag and a clear bag. Click the items above to find them online— these are what I’ve really been packing on my recent trips! When it comes to brushes, I keep them within their own pouch to protect them. 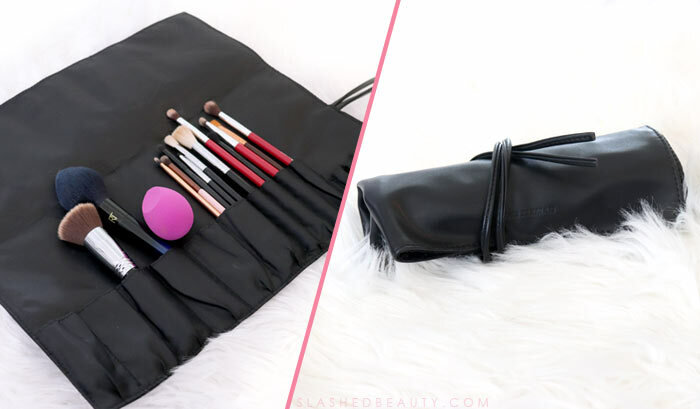 I’ve found that a roll-up brush holder is the most compact way to pack makeup brushes for travel. 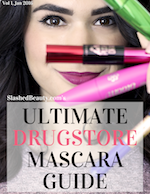 It has a ton of storage for all your must-have brushes, but barely takes up any space once it’s rolled up. This one even fits within my regular makeup bag, which is super convenient. I’ve personally never had any issues with normal shaving products in my carry on. I use the Venus Snap Razor, which comes with a carrying case. For perfume, try using an atomizer that you can fill and re-fill with your favorite scents. I use the Travalo, which is leak-proof and TSA-friendly. Of course, you can always pack your favorite rollerball perfume as well. Alternatively, you can use a solid perfume. In fact, replacing your liquids with solid alternatives is a great way to save space in your clear bag and reduce the risk of leaks. I’ve personally made the switch to solid face wash for travel. Shave bars are also an awesome choice for travel— you can usually find them in the men’s shaving section. 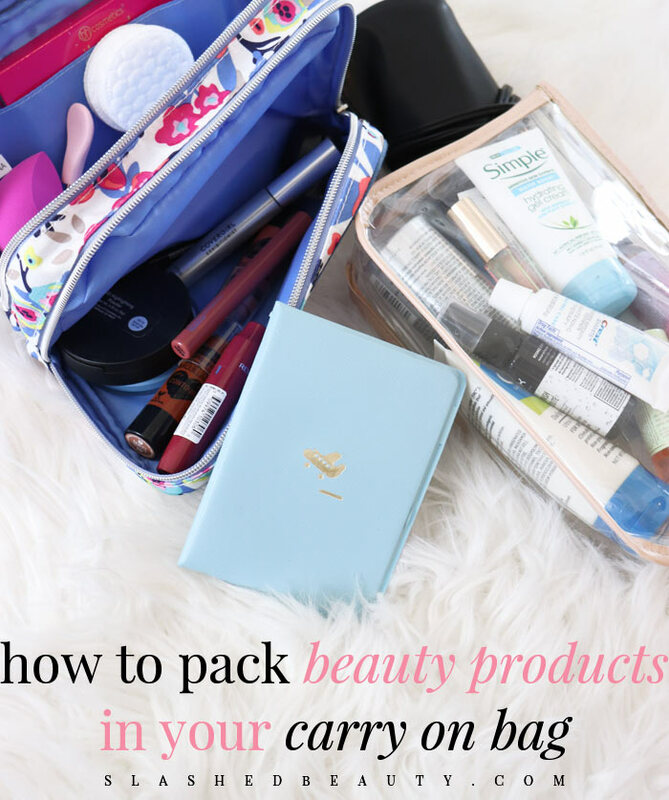 Do you have any other tips for packing beauty products for travel? Share them in the comments! 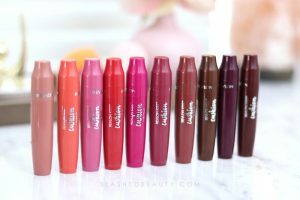 Previous articleHow to Apply Makeup In Order: Does It Matter? Perfume ‘cards’ from magazines and ad flyers are great for travel! They weigh nothing, and after you use them you can toss them. A contact lens case is perfect for holding liquid foundation in one side and bb cream in the other. That’s such a great suggestion, Nancy!! Thanks for sharing. I always keep samples of favorites for traveling! Caboodles was my first makeup case when I was a teen. Yes, they have been around since the stone age! I am alway looking for ways to pack better! That bag looks so cool and stylish! I need it for my next trip! Wow – that bag fits a lot of things and I love how it is so organized and perfect for on the go. This would make a great gift. I have such a hard time narrowing things down for my carryons. Looks like this bag fits the bill! I’m so glad I’m driving for Xmas this year, though. lol! I love how much can fit inside there. That’s a steal for it too. Love it! Anything important comes in my carryon. ahh I love Caboodles! Need to grab that bag! I need that caboodles bag for my upcoming trip to Morocco. That is some pretty impressive packing. I am not nearly so well organized! Makes traveling so much easier! This is a fab bag and I need to pick one up. I haven’t packed for a trip in a while so this is helpful! LOVE that bag! Very well done! I always need to add the bulky 3.4 oz bottles of contact lens solution and saline to my quart bag so it’s a struggle but I manage. That’s awesome to know– I don’t wear contacts so I wasn’t familiar with that. I think the same goes for baby formula and such. Great tip, Skye!